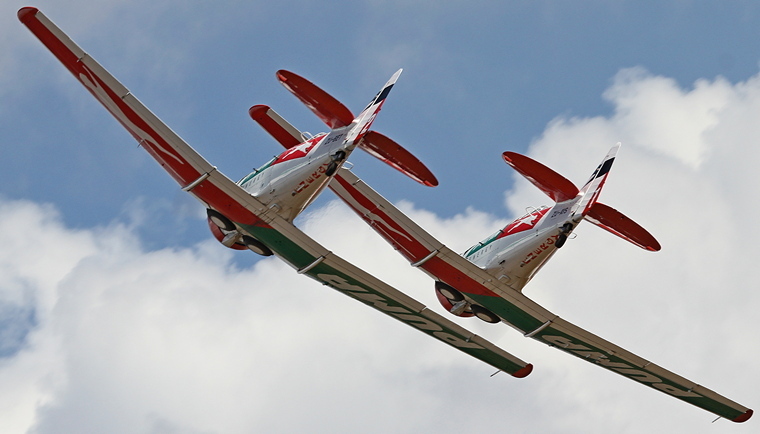 The Aero Club Airweek 2018 is an aviation event for aviators and for aviation enthusiasts. 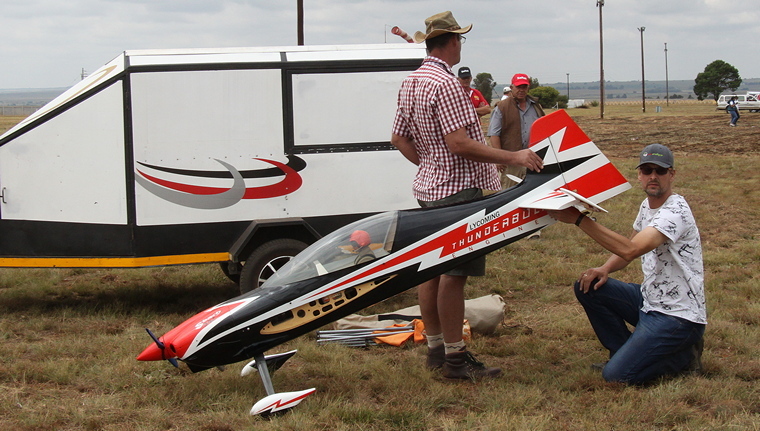 Members of the Aero Club of South Africa (AeCSA) love aircraft, and anything that flies. 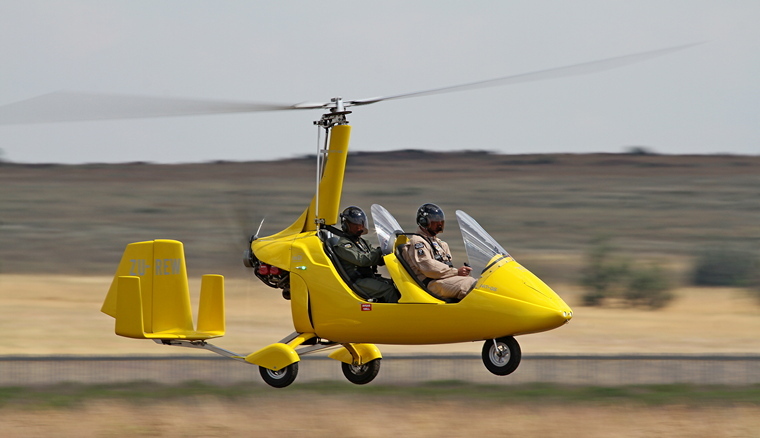 From models to jets, aerobatics, gyrocopters, microlights, light sport aircraft, ultralights, gliders, motor gliders, vintage aircraft, and helicopters and much more. 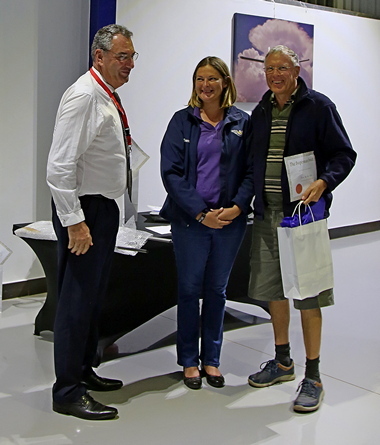 The Aeroclub Airweek that leads to the Club's Centenary in 2020 was jointly organised by AeCSA and the Middelburg Aero Club that hosted the Airweek at the club's superbly maintained facilities at Middelburg Airfield. 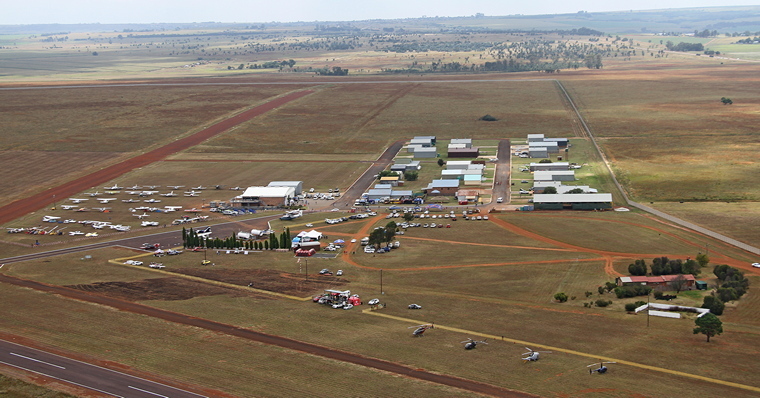 The airfield was initially located in Aerorand, Middelburg, and then relocated to the present location in 1981 and in June 2002 the Middelburg Aero Club was formed. 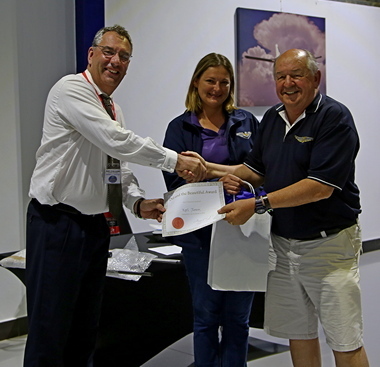 All eleven sections of AeCSA were invited to partake in the event that ran from 9 to 11 March. 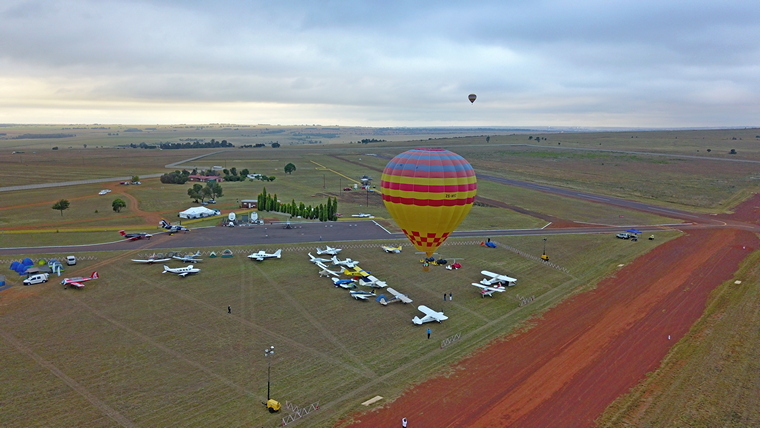 Due to inclement weather leading up to and including the Friday and Saturday mornings at airfields in the neighbouring provinces the turnout was not as expected but most did support. 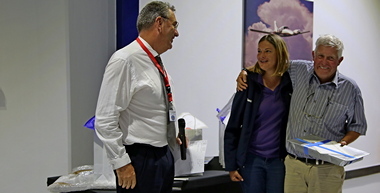 Niel Bowden, EAA Oshkosh tour organiser with family and friends. Niel arranged the tents for camping. Members of the Limpopo Flying School desperately wanted to fly to Middelburg but when the weather intervened they drove south. 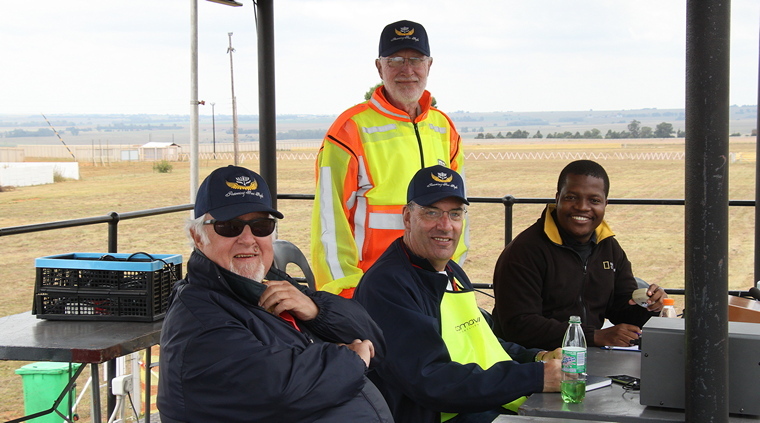 The South African Power Flying Association (SAPFA) held a very successful ANR (Air Navigation Race) at the Aero Club Airweek on Saturday 10 March 2018. 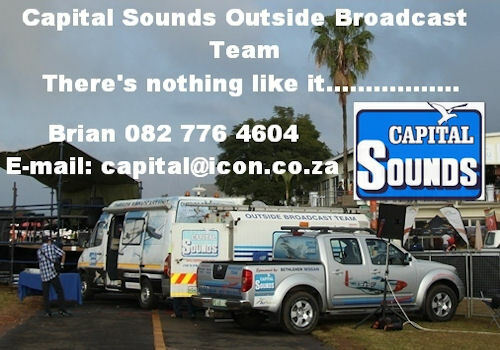 The weather outlook during the week showed promise to be good and then not, and eventually when Saturday morning dawned the low cloud started to roll in from the southwest of Johannesburg, trapping most of the planned competitors from the Johannesburg area to get to Middelburg early enough. Some aircraft were able to get through from the eastern airfields, where the cloud base was between 1000 to 1500 ft. 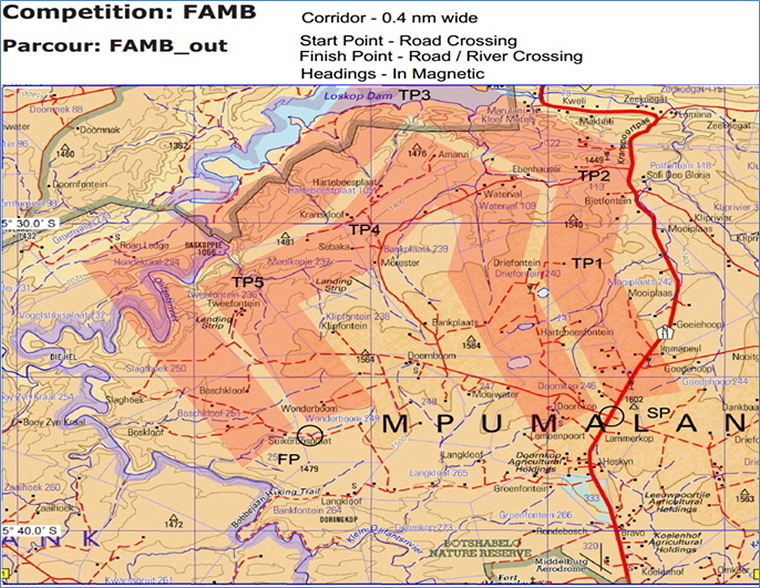 Although briefing was planned for 8 am this was delayed to 9:30, with the weather outlook promising to be good after 10, thus the teams got under way plotting their route. 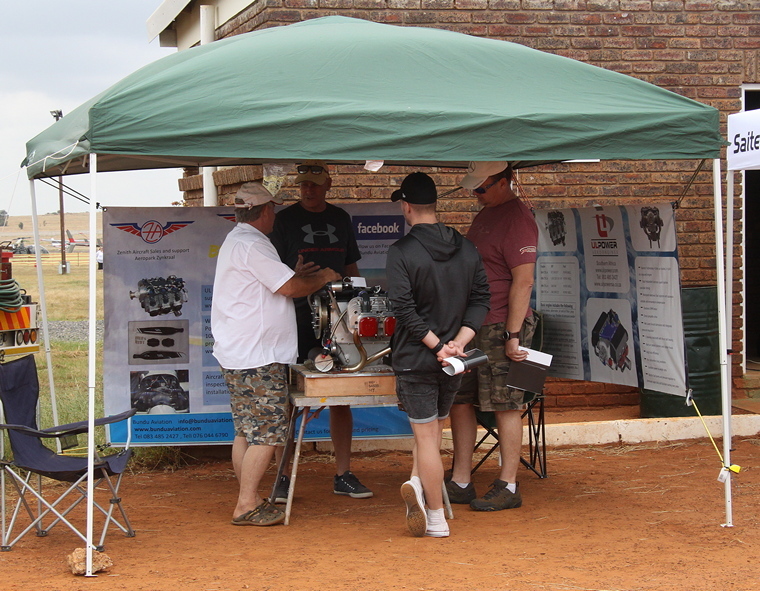 There were 15 teams that registered, but eventually 9 took part, as 6 had to scratch as they could not get to Middelburg due to weather as some airfields in the Jhb area remained IMC for a good proportion of the day. 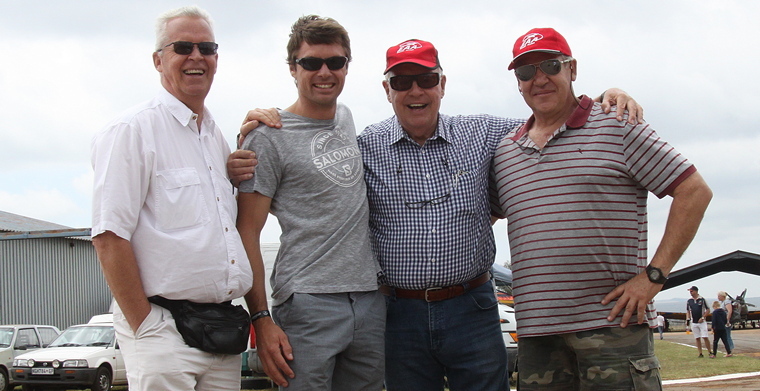 There were three local Middelburg teams, who were essentially new to rally flying, Wayne van Rooyen having coordinated with the local club to get teams to take part. 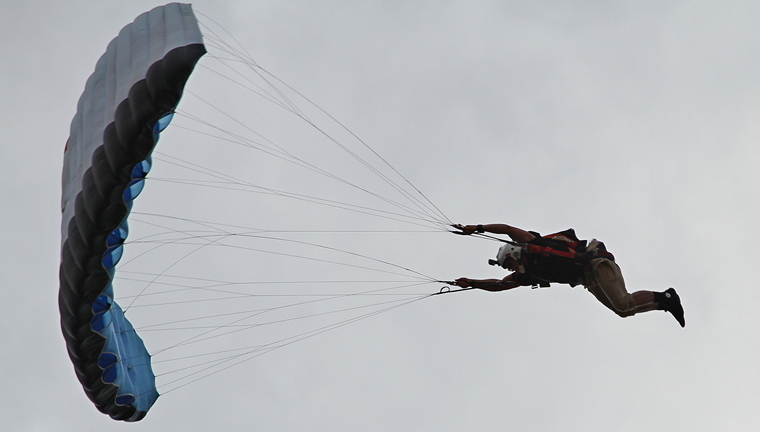 The briefing also included some level of training on how to prepare and fly the route, which was an easy ANR with only 6 legs, with the plot already having headings provided. 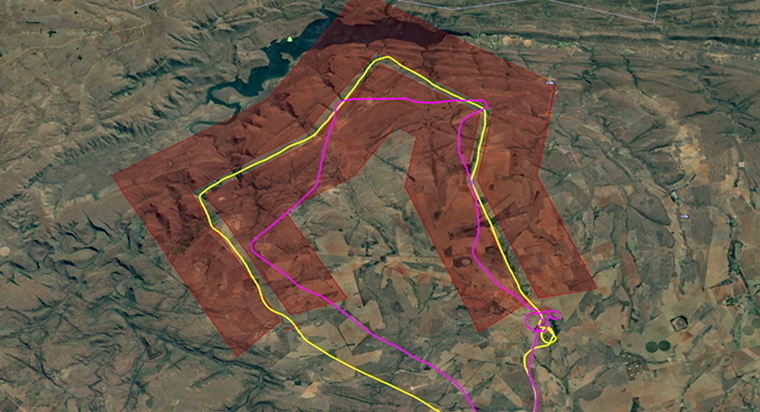 Normally for an ANR there would be 2 routes to be flown for the day, but with the increased level of activity during Airweek, it was decided to keep it to one route, this one 25 nm in length and mostly towards the north up to the Loskop dam area, which was somewhat sparsely populated. 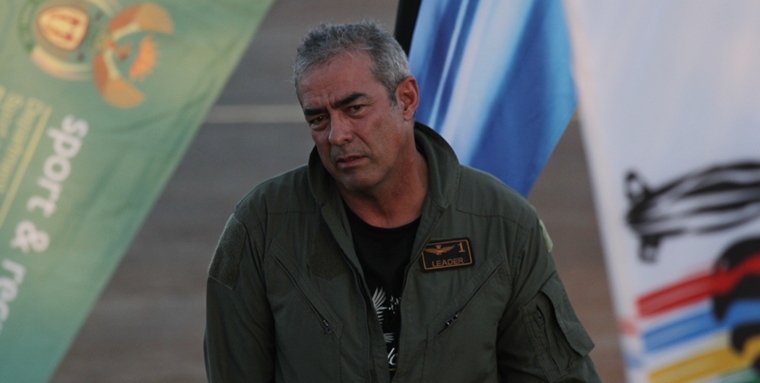 There were two classes taking part, Fun & Advanced, the advanced crews being Protea pilots. In an ANR, there are only two objectives, the first being on-time at the start and finish gates, each second early or late attracts penalty points. The second objective is to remain inside the corridor which in this case is 0.4 nm wide (+/- 800 m), any excursion outside the corridor also attracts penalty points per second being outside the corridor. For this event, an additional twist was recognizing 4 photos on the route, on the last 4 legs. 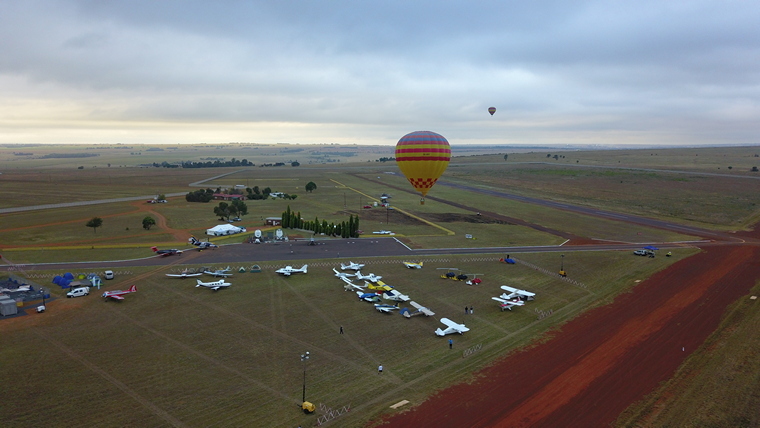 As the weather improved, although the wind was increasing in strength, first off were father and son Ron & Dusty Stirk in a C150 at 11h00 followed by the rest of the field in 5 minute intervals, although some longer spacing required with varying aircraft speeds, and latecomers starting some time later. Although a seemingly easy route, it proved challenging to fly, especially with the around 10-15 kts of wind, the resulting tracks were very interesting, with one competitor having got a bit confused with heading & track, and added another dose of variation to the heading, with the predicted a result of a track offset by 17 degrees. Briefing in the Middelburg briefing room - the team busy with plotting. 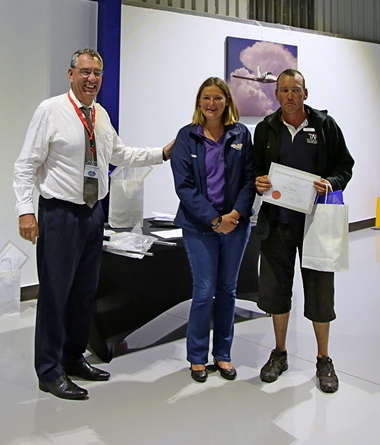 In the Fun Class, in first place was local team Riaan Prinsloo and Deon van Wielligh, flying their Yak 18 - at a high speed as well of 100 kts, 2nd was Mark Clulow and Piet de Wet flying their Cheetah at the other end of the speed spectrum of 70 kts, 3rd was Steve vd Merwe and Martin Meyer flying a RV6. 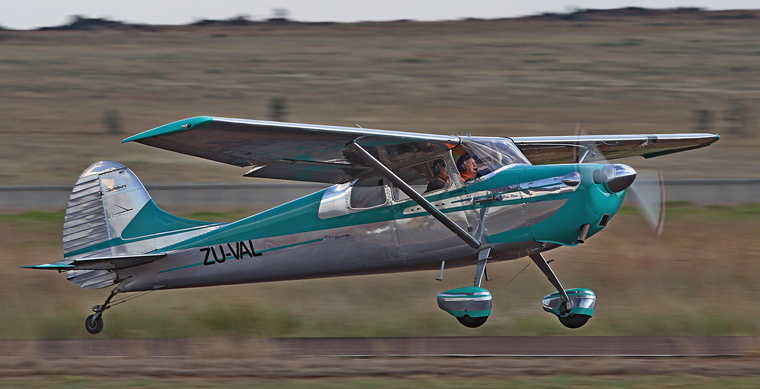 In the Advanced class with the experience of some of the old hands, in 1st place was Ron and Dusty Stirk flying a C50 with an almost perfect score, in 2nd place was Thys vd Merwe and Corrie Basson in a C172. 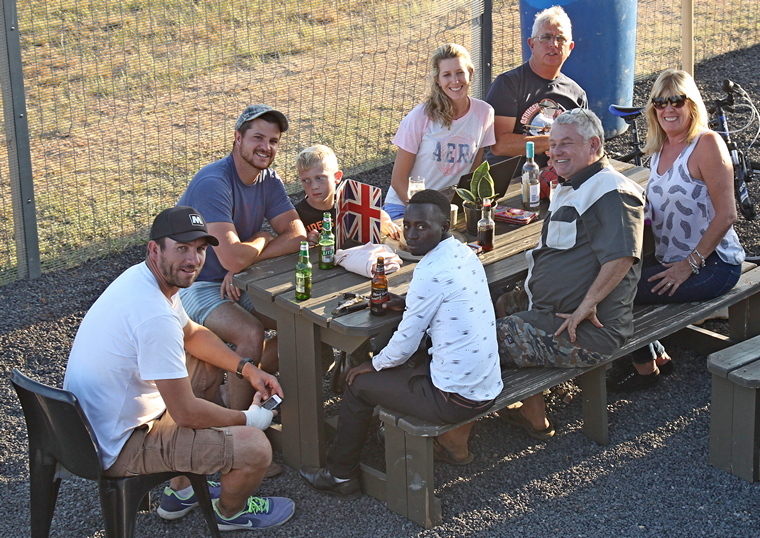 This event was for sure enjoyed by all, with a number of new entrants, the club has already requested if SAPFA could organize more future events at their airfield. 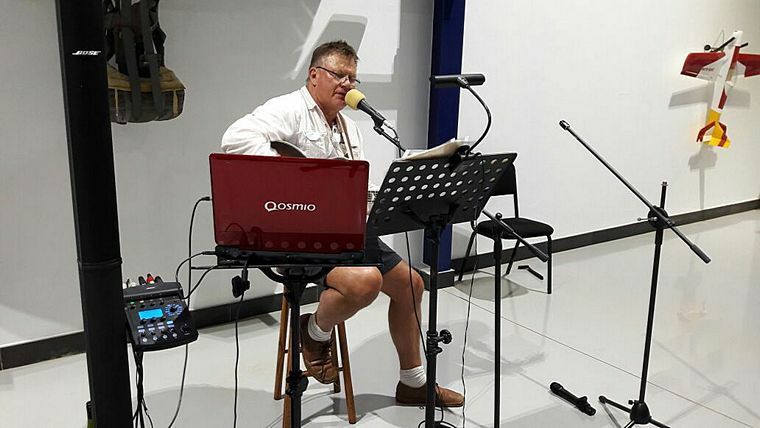 Dr. Frank Bonfills-Persson pilot extraordinaire and legendary musician entertained the visitors after the awards dinner. 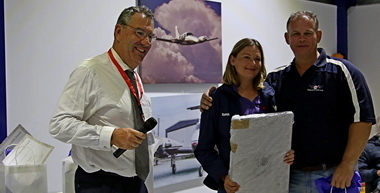 Middelburg's Richardt Lovett and his team went above and beyond the call of duty to make the event a huge success. 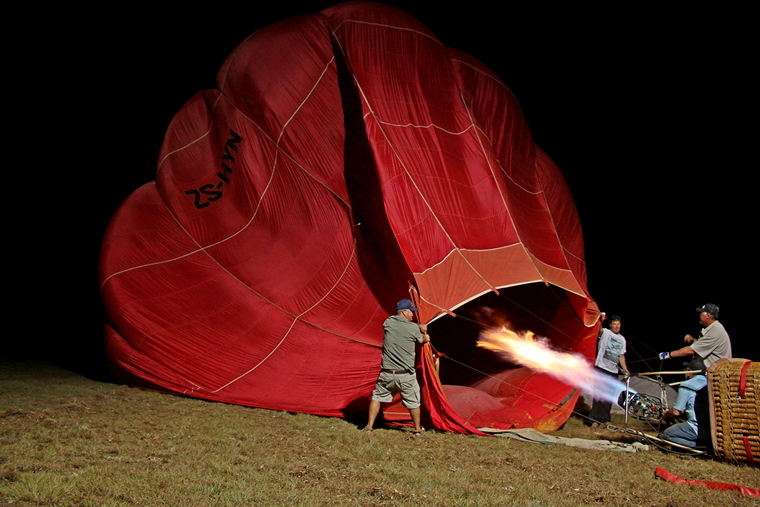 If you've ever wanted to find out more about, for example Hot Air Balloons or Self-Sustaining Gliders, this was your opportunity to get up close and personal with knowledgeable experts. 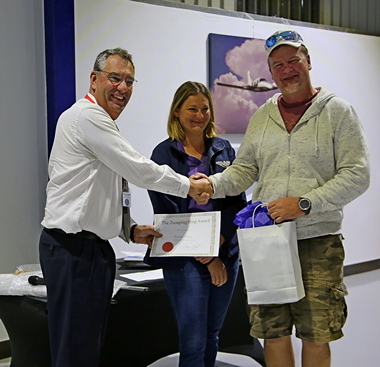 So make sure not to miss the 2019 AeCSA Airweek that promises to be even better. 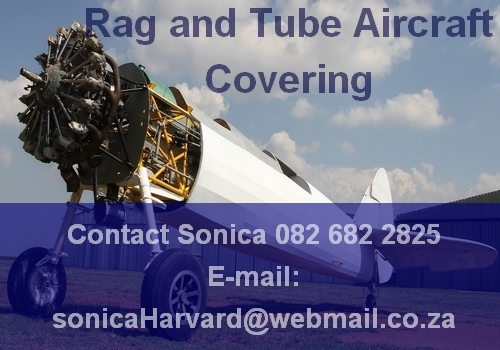 To Alan Evan Hanes and the AeCSA team as well as to Richardt Lovett and the Middelburg Aero Club team congratulation on a fantastic well organised and incident free event. 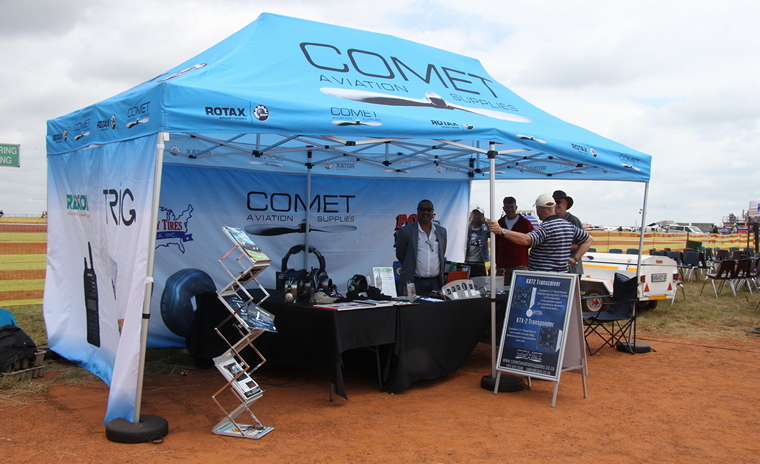 It was by far the best aviation event that we have attended this year.